Rivalry between two competitors are a staple of all team sports, and nowhere is it more obvious than in Major League Baseball, which spans through an impressively long and eventful season. 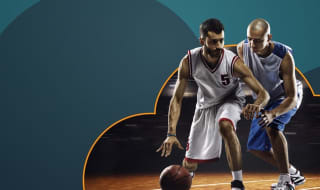 Cloudbet highlights a few of the fiercest ongoing duels to hit the diamond. To say there are lots of games in the MLB season is a bit of an understatement. Major League Baseball has a whopping 162 games per team, per season. While that may sound monotonous, there are plenty of rivalries that highlight the passion and excitement of America’s national pastime, which has been entertaining generations of fans for over 150 years. We take a look at some of the fiercest rivalries to grace the ballparks. Despite both teams getting new coaches in 2018, this rivalry is still as hot as ever, with many considering this to be the greatest rivalry in American Sports. The rivalry was sparked with the famous trade of Babe Ruth, and the “curse of the Bambino”. When arguably the greatest baseball player of all time was traded from Boston to New York, it subsequently helped create a Yankees dynasty in the 1920’s, while the Red Sox would go 86 years without winning a World Series. Baseball is generally a non-violent and non-contact sport, however its common place for this rivalry to get heated enough for benches to clear. The fight between Alex Rodriguez and Jason Varitek that sparked a bench clearing brawl in 2004 remains one of the most iconic moments of the Red Sox – Yankees rivalry. The last two MLB seasons have seen the Red Sox and Yankees dominate the division, with all baseball fans praying to see a repeat of the ’99, ’03 and ’04 AL Championship series where these two teams met in the playoffs. This rivalry has extensive history, with these two clubs playing each other for more than a century. Initially they both called New York home, only playing a few miles from one another. However, over the years, both have relocated to California, each competing in the NL West. Thankfully we still have 19 games a year between these two to enjoy this historic rivalry. This rivalry has been lopsided recently, with the Dodgers dominating the division, as the Giants finished with the worst record in baseball in 2017. While in 2018 the Giants have improved, they still have a losing record whereas the Dodgers are in a tightly contested race for the NL West crown. Known as the Lone Star Series, this rivalry between the two Texas clubs was initially an interleague play rivalry as the Rangers are an American League member, and the Astros were a member of the National League until 2012. During this period, the winner of the 6-game series would be awarded the Silver Boot, a 30-inch tall, size-15 cowboy boot cast in silver. Since then, the Astros joined the Rangers in the AL west, and their rivalry is now an interdivisional rivalry. Over the last few seasons, both clubs have been fighting for playoff positions, which has led to heated clashes, plunked batters, and cleared dugouts. Despite these two teams playing for over 56 years, with nearly 50 of those years in the same division, It was only in the mid 2000’s when the rivalry intensified as the teams battled more often for playoff positions. While the Mets won the division in 2006, the Phillies won the 2007 championship on the final day as the Mets lost a seven-game lead with 17 games remaining. The Phillies would go on to win five consecutive division titles from 2007-2011. It was during this time that a veteran Baseball writer said that this rivalry was one of the fiercest in the NL. The rivalry continues today as both teams possess NL Cy Young Candidates in Aaron Nola and Jacob deGrom. However, it was only last month when the Mets had the last laughing, beating their rivals by 20 runs, 24-4. Known as the Crosstown Classic, this rivalry sees two cross-town rivals face off. The Cubs from the north side have being facing the White Sox from the South of Chicago for over a century. Their first notable meeting was the 1906 World Series where the heavily favoured Cubs, who won 116 games that year, lost in six games to the White Sox. It was the first World Series between teams from the same city. These teams rarely played before Interleague play began in 1997. Now these clubs routinely play each other six times a year, with a three-game series in each of their stadiums. The most infamous moment in the rivalry came in 2007, the year after the White Sox’s first World Series in 88 years. A.J Pierzynski collided with Cubs catcher Michael Barrett. After Barrett threw a punch, both benches cleared resulting in four players being ejected.